While there are a lot of notable changes to go through from the past two months, there's some notable news for the general Wii community. By the time this article is up, the Nintendo Wii Shop will be closed. Purchasing will be entirely disabled so all remaining Wii Points will be rendered useless, and even downloading of purchased games will be disabled at an undefined date in the future. While this may not seem like very big news for an emulator, Dolphin does actually support connecting to and buying games off of the Wii shop. More distressingly, it's likely only a matter of time before the Wii Nintendo Update Servers (NUS) themselves go down. Dolphin relies on the NUS servers for installing a fully updated Wii System Menu in Dolphin. Users with unscrubbed Wii discs can rely on them as well to install the System Menu after they go down, but, depending on when the game was released, it may not be fully updated. It's also rather disappointing that the many unique titles released on WiiWare can no longer be legally purchased by users. Say what you will about the average quality of WiiWare releases, these titles are a part of the Wii's legacy, one that is slowly being locked out to those who would want to experience them in the future. Now that we've gotten that out of the way, we have a lot of big changes that hit over the past two months that we need to get through. The sun may be setting on Nintendo's revolutionary console, but on the emulation front we still have a long road ahead of this. We hope that everyone enjoy's this month's notable changes! For the convenience of our Android users, we've decided to cluster up a ton of important Android changes together after the more general changes. If you're on Android 9 or are a big fan of Paper Mario, you definitely won't want to skip out. Even though the Wii's official library is mostly set, both the GameCube and Wii are entering a new golden age as a popular environment for randomizers, full-game mods, incredible cheat codes, and much more. Stalwarts like the Super Smash Bros. Brawl Mod, Project M have been around for years, but now there are many other communities around various games breathing new life into them. 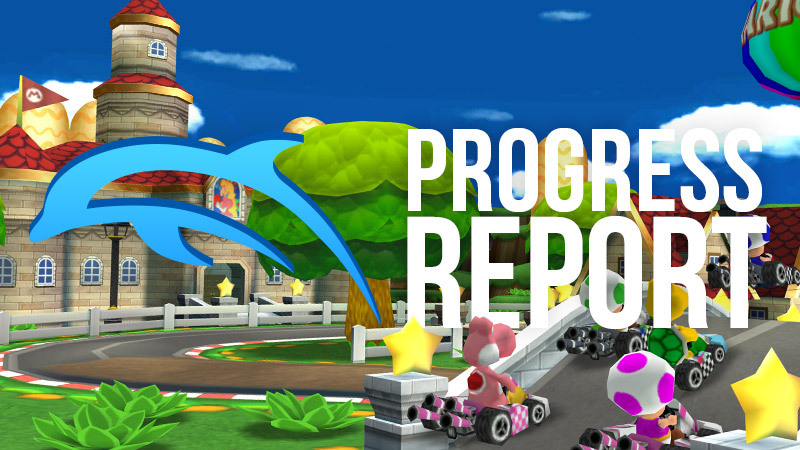 You can find codes to help balance games like Mario Party 5, content mods for Kirby Air Ride that add tons of new rides and hundreds of songs, and trackpacks for Mario Kart Wii that add hundreds of custom tracks to the game. Wiimmfi's also provides their own backup Wi-Fi servers for many unmodified games and their Mario Kart mods! While most of these mods can be enjoyed on a hacked Wii, many users rely on Dolphin in order to play them. Emulating these mods can be quite the challenge, as they often will do things in ways that game developers would not. Assumptions that Dolphin makes can often be broken and certain features that mod developers use can be extremely slow or downright unreasonable to emulate. 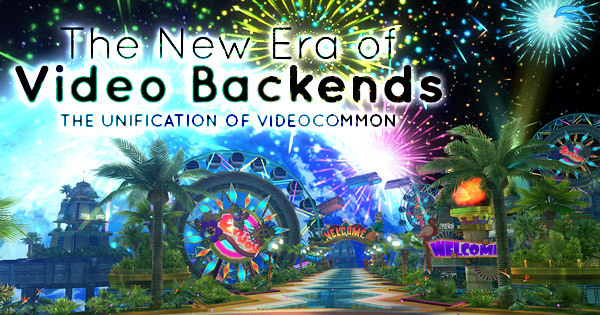 In the case of Wiimmfi's Mario Kart Fun Packs, the mod creators have put in work over the years to improve their experience in Dolphin and even support emulated users playing alongside console users online... so long as you're willing to dump and use your Wii's NAND. 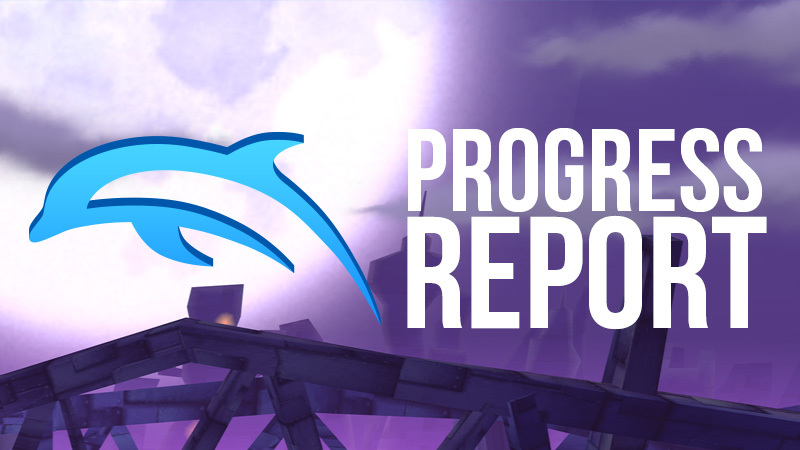 Earlier this month, a slight change to Wiimmfi's online networking broke Dolphin support without affecting real Wii Consoles. Not wanting to leave their emulated users high and dry, they reported the bug to us. delroth quickly took up the mantle of investigating the bug with assistance from the Wiimmfi team. Within a few hours, the cooperation paid off as the list of probable causes was narrowed down to one annoying feature: The Instruction Cache. Dolphin pretty much has no ability to emulate the GC/Wii CPU data cache and likely never will due to the performance implications, but Dolphin does have some ability to emulate the instruction cache, though it's best to avoid testing the emulator. This is normally not a problem with retail games because it's rather bad form for a game to rely excessively on cache quirks, unless they were intentionally trying to break an emulator. There are occasionally games that inadvertently rely on cache behavior, that's something to tackle on another day. Dolphin's emulation of the instruction cache is normally good enough and almost nothing relies on data cache. Mods are different; developers are usually working on a blackbox and don't have the same level of familiarity with the hardware. Unless they specifically tested codes on both Dolphin and Wii, there's a chance they wouldn't even know something was broken. There have been many issues reported around mods that, while Dolphin is at fault, we really don't have any recourse for the users afflicted. If a mod doesn't care about running on Dolphin and uses dcache or perhaps another annoying feature, there isn't much we can do but shrug it off. In the case of Wiimmfi's server, through cooperation from both sides, we were able to find the cache coherency issue and fix it serverside! Users who already have the latest version of the mod don't have to do anything except try to connect. If you're looking for a more detailed explanation of what was going wrong (as it's rather interesting,) you can find delroth's full writeup on the issue tracker. In order to track down behavior like this in the future, delroth also added game quirk reporting to Dolphin's data collection service, so Dolphin will now automatically let us know what games are instruction cache sensitive in the manner that broke this particular mod. With that, we also have a lot of other exciting changes this month, so now it's time to dive into this month's notable changes! One of the most interesting challenges of developing an emulator is that both the target hardware and most of the target software start out as black boxes. As often mentioned within emulation circles, the first step to developing an emulator for a console is getting unsigned code running on real hardware. While running unsigned code on the GameCube can be a bit of a pain, requiring custom hardware or a mixture of the broadband adapter and certain games, the Wii has one of the most robust homebrew environments of any console. Just about anyone can download devkitpro, write their own homebrew, and run it on the Wii. The truth is that Dolphin is mostly used as an emulator for retail games, but it can also be a useful step for testing homebrew and hacks. After all, when running in Dolphin, users can pause execution, dump RAM, and poke memory without the need for a USB Gecko. While the golden age of Wii homebrew has long passed, several game hacks are still under active development and the Wii remains one of the easiest game consoles to jump into and develop software. Because homebrew can rely on behaviors that games wouldn't ever want to do, even the simplest of projects can stumble into emulator bugs. Developers kind enough to make their homebrew open source give Dolphin developers an interesting way of debugging issues. It's one of the rare cases where the software being debugged isn't a black box! This greatly cuts down how much effort and expertise is needed to debug what is happening in an issue - instead of mapping out what a game is doing through assembly, we can just look at the source code! Users who write tests that break Dolphin and provide source code give us a much easier look than trying to reverse-engineer what closed source software is doing. This month, two bugs were discovered that, to our knowledge, do not affect any retail software! Thanks to homebrew projects, these bugs are now a thing of the past. 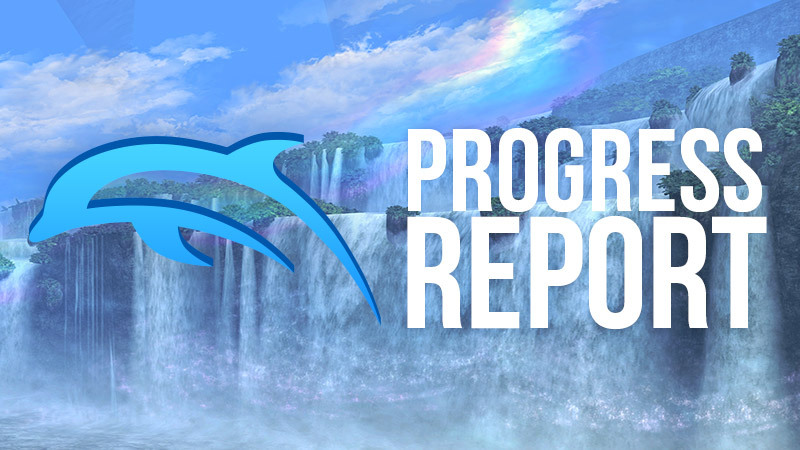 In addition to that, Dolphin on Android has seen a myriad of improvements since our article earlier this month, and netplay saw some new features to make setting up games easier along with a new mode to reduce latency in three/four player matches! February came and went quietly, especially on the blog. 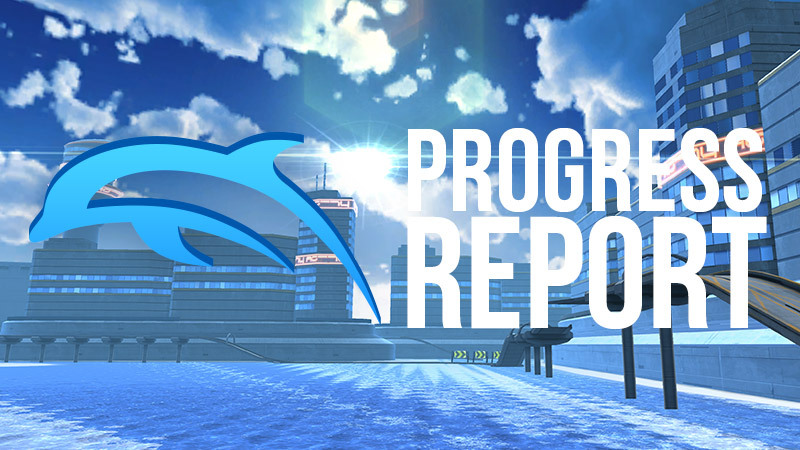 While we do prefer to run a Progress Report every month, we were put into a bit of a bind. February saw a lot of interesting changes - but most of them were setting up for changes that weren't quite ready to be merged yet. Rather than rushing things or writing a Progress Report about things that would be coming soon, we decided to wait. 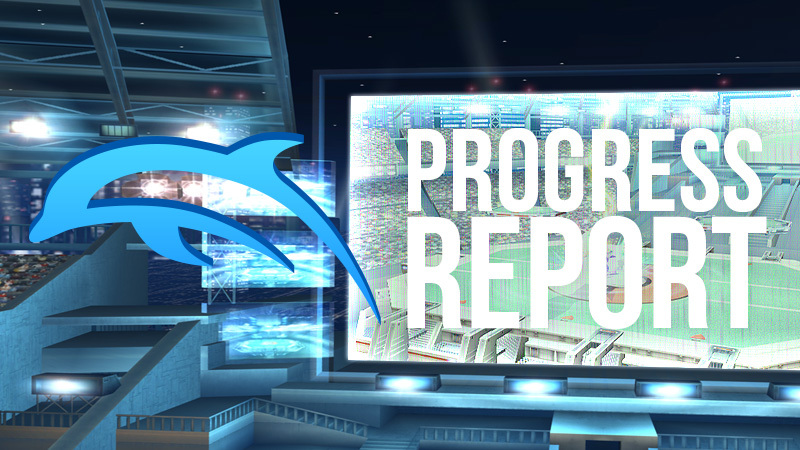 Well this Progress Report is no April Fools' joke - a lot of big changes landed! While a lot of what's important is under the hood, some of what has been finished has major user facing implications as well. 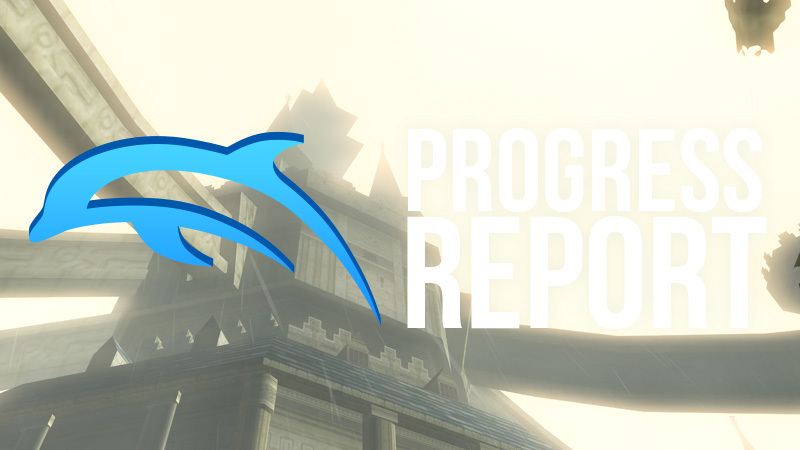 If you were sad about missing a Progress Report for February, have no fear, this double report should more than make up for the lengthy delay! Because so many of the changes rely on one another, we're going to be jumping around quite a bit between the two months. So hold on tight, and get ready. This is a big one. While a lot of our focus goes into the core emulation experience, we also recognize how important it is for users to be able to use the emulator. Dolphin now has several different User Interfaces (UIs) that are used across several platforms. A UI serves many purposes at the same time: from giving users access to the most important options, to relaying information to the users as they're using the program, and sometimes even communicating to developers what the program is doing at a given time. 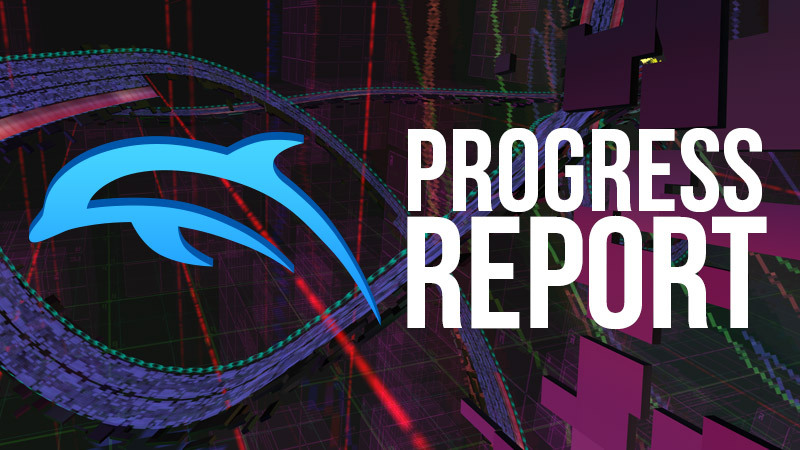 This month, UI takes center stage, as DolphinQt, Dolphin Android, and even Dolphin Android T.V. UIs all saw big improvements! After the massive Hybrid XFB article that hit late November, we at the blog staff went into a bit of a hibernation. But after a short holiday break, we're back and ready for more. 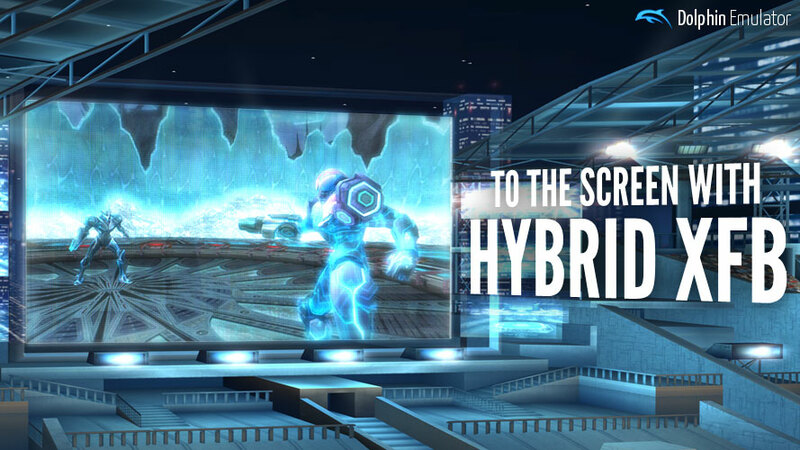 Before we get to the rest of November and December's changes, make sure you check out the absolutely massive Hybrid XFB article and the accompanying video. With both Ubershaders, Hybrid XFB, and many of the other targeted features for the next release merged, a lot of users have started wondering when our next release will be announced. The answer to that is not soon. With these huge changes have come a lot of frustrating and annoying regressions that can't easily be solved without a lot of work. 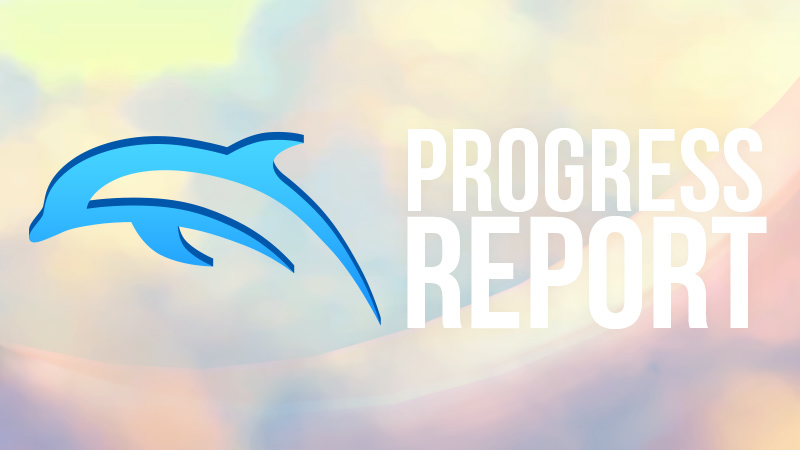 If we enter a feature freeze to work on those regressions, we'd be stagnating Dolphin and delaying the other large new features that are still being worked on without any guarantee that the regressions will be sorted out. So for now, the plan is to just keep moving and wait for a better opportunity to start the release process.